Evil Blizzard have announced their new album ‘Everybody Come To Church’ will be released on October 9th via Louder Than War Records. 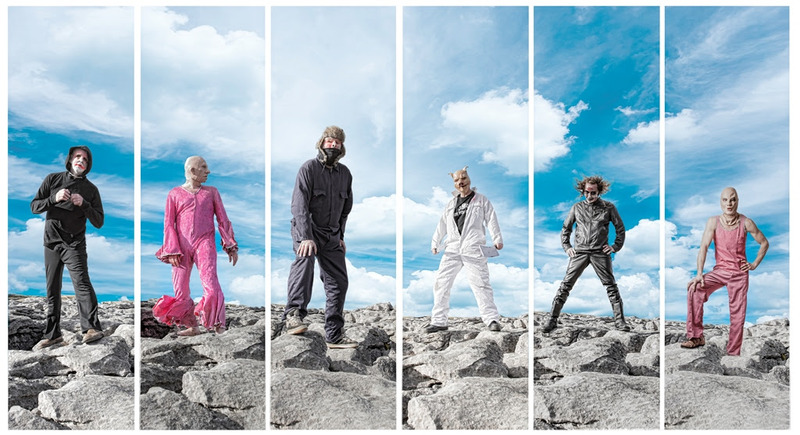 In 2014, their debut album ‘The Dangers Of Evil Blizzard’ was unleashed upon the world and it’s sonic grooves and unrelenting weirdness quickly captured, and held hostage, the minds and imaginations of freaks across the land. Landing on the cover of The Guardian’s entertainment supplement, and warping the brains of Kerrang’s readership, the five-piece won accolades and nervous glances wherever they went. Recorded live in one day with minimal overdubs at Magnetic North Studios,’ Everybody Come To Church’ is a fierce spontaneous outburst of evil noise. With only four songs written before entering the studio, the rest of the album just ‘happened’ around ideas they’d had knocking around – to date, Evil Blizzard have only ever rehearsed four times in four years. Unconstrained and unplanned, ‘Everybody Come To Church’ features eight tracks of brooding, sinister psychedelic rock that will melt your mind and soul. You have been warned.